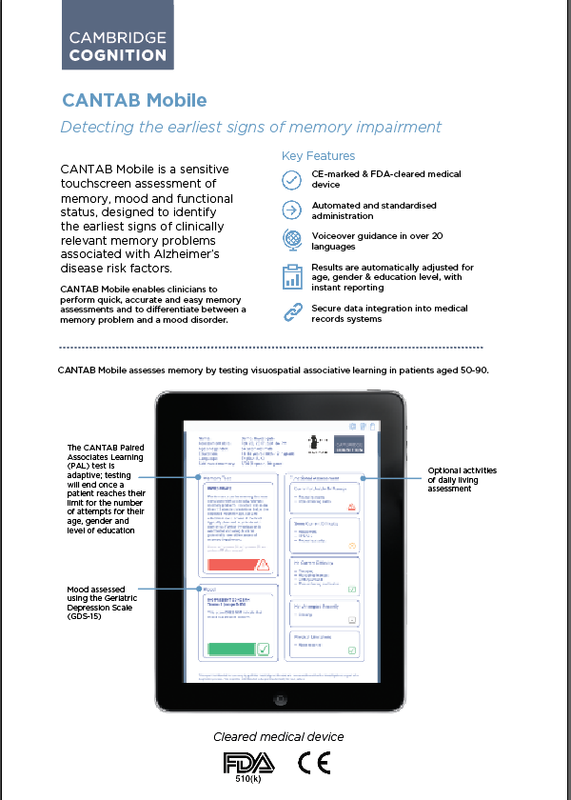 Find out more about CANTAB Mobile, the most sensitive and timely memory assessment tool for detecting the earliest signs of clinically relevant memory problems. We would like to keep you informed with the latest news, data and innovations from the neuroscience and clinical trial community. We'll always treat your contact information with great care and will never allow other companies to access your information for marketing purposes. Please let us know if you would like us to contact you or not by selecting one of the options below. Yes please, I would like to stay up to date with the neuroscience research and clinical trial communities. No thanks, I don't want to hear about the latest news, scientific data and technology innovations.